Does It Really Matter Which Laundry Detergent You Use? Like any other consumer product in a crowded marketplace, laundry detergents are heavily featured in marketing campaigns designed to build brand loyalty. Manufacturers spend a great deal of money and effort trying to convince consumers that their detergents are superior to the competition. Yet many people argue that all laundry detergent is basically the same, and buying decisions should be made on price. So who’s right? As it turns out, there are definite differences between various formulations of laundry detergent. However, the brand name might matter less than you think for everyday washing, as you purchase the right formulation for your needs. If your laundry regularly gets gross, though, then brand name can matter a lot. Let’s break down the real differences between laundry detergent. Laundry detergents are packed with chemicals, any of which could trigger an allergic reaction in those who are sensitive. By far, the most common culprit is added fragrance. If you are sensitive to fragrances or other common detergent additives, choose a hypoallergenic detergent designed for sensitive skin. Available in many brands, these detergents often include the word “Free” on the label. “Natural” detergents can also be a good choice, although some people are sensitive to natural ingredients as well. As you might suspect, high efficiency laundry detergent is designed for use in high efficiency washers. These washers use only a fraction of the water that traditional machines use, meaning that the suds created by traditional detergents, and the grime suspended within them, cannot fully rinse away. High efficiency laundry detergents use a different chemical process to wash away stains with a minimum of suds, ensuring that your laundry is rinsed clean. You can use high efficiency laundry detergent in a standard machine as well, but be careful to use no more than 1/4 cup per load. Cold water washing has become a huge laundry trend, and it has long been essential for some stains and very dark or bright colors. However, some laundry detergents perform better in cold water than others. Finding the right choice is largely a game of trial and error, as you cold wash loads of laundry with different detergents to see what work. However, thanks to the cold water washing trend, some major manufacturers now make detergents that are specifically designed for use in cold water. If your laundry is only lightly to moderately soiled, it can be tough to tell the difference between the washing power of different detergents. If you have high-energy kids, athletes, or messy eaters in the house, though, you are probably all too familiar with the constant battle against grass, dirt, and food stains. When laundry is heavily soiled, it is important to choose a detergent that is up to the challenge. 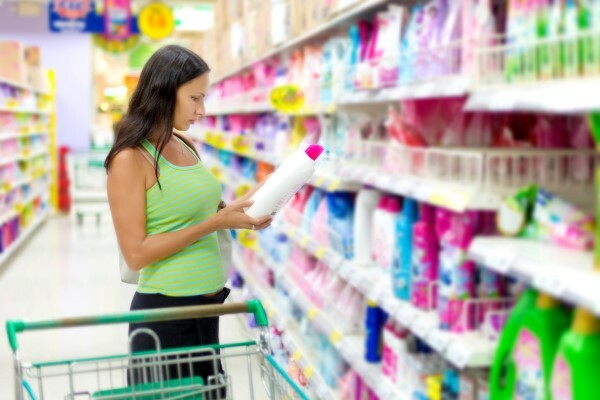 Consumer Reports and similar publications offer ranked reviews of various consumer goods, including laundry detergent. If you’re in the market for a detergent with heavy-duty cleaning power, it is well worth the time to read professional reviews on one or more of these websites. Or, of course, you could simply send out your laundry to a professional, and let us battle those tough stains for you! Suds Up Laundry is committed to personalized customer service at an excellent price point. If you are ready for quick, easy, and affordable laundry service, sign up online or contact us today by email at hello@sudsuplaundry.com or by phone at (508) 471-3249. My Sweater Shrunk: Now What?